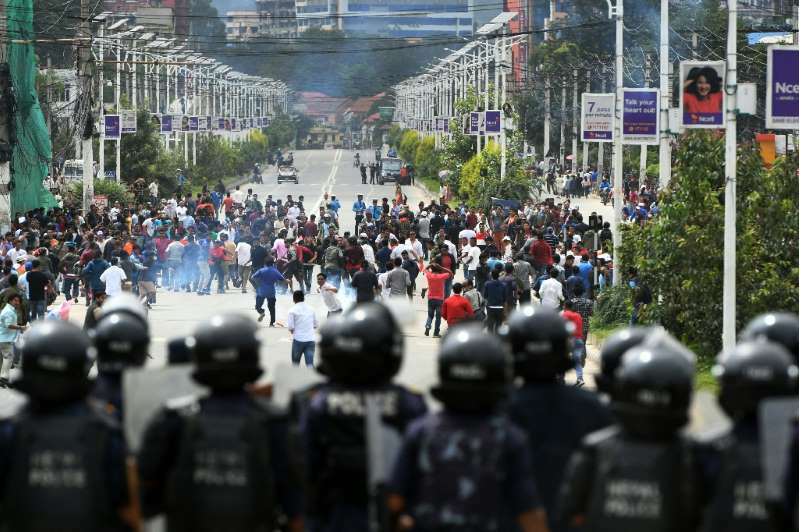 Dozens of protesters in Nepal have been injured in clashes with police at a demonstration in support of a hunger-striking doctor seeking better healthcare in the impoverished Himalayan country. Thousands took to the streets on Saturday in solidarity with Dr Govinda KC, who has been on a hunger strike for nearly a month demanding reforms in the medical sector and education. [post_ads]Protestors from Nepal Tarun Dal, the youth wing of the opposition party Nepali Congress, were injured when police fired multiple rounds of teargas and used batons as they entered a restricted area near the parliament in capital Kathmandu. Activists on Sunday said they planned more protests following the clashes. "We are protesting against the government's authoritarian-like behaviour. They are not listening to the people and to the just demands of Dr Govinda KC," Bhupendra Jung Shahi, general secretary of Nepal Tarun Dal, told AFP. Viewed by his supporters as a medical Robin Hood, Dr KC is well known in Nepal for his philanthropic work, travelling to some of the country's most remote communities to provide medical care and train local health workers. Dr KC, 61, has gone on hunger strike 15 times over the past six years in an attempt to pressure the government to improve healthcare. He began his current hunger strike, the longest at 23 days, on June 30 in remote Jumla district and was airlifted to Kathmandu by the government amid protests last week as concerns for his health grew. A key sticking point has been a medical education bill registered in the parliament earlier this month seeking to overturn an ordinance by the previous government that met Dr KC's demands to regulate doctor training and curtail commercialisation in medical education. Dr KC has demanded a withdrawal of the bill before sitting down for talks with the government. Another hundred supporters also joined Dr KC in a hunger strike on Sunday to pressure the government to respond positively. "Until the government responds to his demands we will continue to protest peacefully and draw the attention of the government," said Dinesh Prasai, a professor who had joined the fast.